I remember being amazed the first time I heard it. The mixture of the Piano, The flute and the pumping bassline thru the track is really awesome. It’s been 15 years since the original release and it still sounds fresh!. BT, or Brian Wayne Transeau was born in Rockville, Maryland in the early 70’s. He was early discovered as a prodigal child when it comes to music and first studied music at the Washington Conservatory of Music and later went to Berklee College of Music. In the beginning of the 90’s he met up with Dubfire and Sharam of Deep Dish and started doing dancemusic. His first releases didn’t get any big response in the US but on the other side of the Atlantic ocean, djs Paul Oakenfold and Sasha played his music at every gig. It wasn’t until Sasha bought BT a planeticket to visit London that BT really witnessed his own success. his own singles Embracing the Future and Nocturnal Transmission. While in London, he met up with dj/producer Paul Oakenfold and got signed to his label, Perfecto. The first release on Perfecto was came in 1995 with the single Loving You More with singer Vincent Covello and later the same year BT’s first album, IMA (the title means ”now” in Japanese). The album contains some cool songs like Embracing The Sunshine, Nocturnal Transmission (which was partially used on the soundtrack to the movie ”The Fast & The Furious”) and Loving You More. The same year, BT also remixed a couple of tracks. Most memorable is his remix on Grace – Not Over Yet. The US version of the IMA album released in 1996 also contained the hit single Blue Skies with singer Tori Amos. The single also became no1 on the Billboard Dance Chart. It was around this time I discovered BT after hearing Embracing The Sunshine on MTV. I later bought both Loving You More and Blue Skies on CDM. 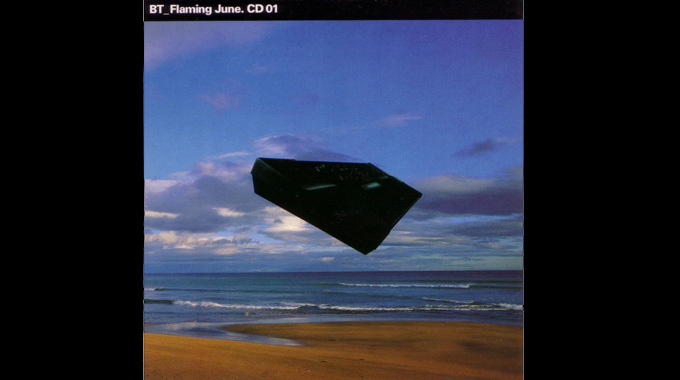 In 1997, BT released the singles Flaming June and Remember., both singles were also featured on BT’s second album, ESCM (Electric Sky Church Music). Compared to the IMA-album, ESCM contained more vocals and a saw more experimental BT with darker sounds and also contained both drum & bass and breakbeat. BT also use live instruments like guitar, bass and drums, all played by himself. ESCM saw the return of vocalist Jan Johnston who sings on both Remember and Lullaby for Gaia. 1999 saw the release of the third album, Movement In Still Life and contained hit singles Godspeed, Mercury & Solace, Namistai (with Paul Van Dyk), and the US version also contained Never Gonna Come Back Down. The album was heavily influented by the new hip hop-wave in the US so the original UK version was totally remade for the US market. Tracks like Godspeed and Mercury and Solace did well in the UK, but would not fare well on US radios, where Never Gonna Come Back Down and Shame performed well on American alternative rock stations. The fourth album, Emotional Technology came out in 2003 and contained hits like Somnambulist (Simply being loved), Force Of Gravity and Superfabulous. It was also the year that BT got into Guineess world record-book for the Somnambulist-tracks that contains most vocal edits in a single track, with 6,178 in the album version. This technique is called Stutter and uses a program called Bias peak which BT loves to work in. You can hear it being used in loads of BT’s productions including the NSYNC-track Pop which BT produced. The album, This Binary Universe, was BT’s fifth album and wasnt a typical album but more an experiment into producing in full 5,1 cinema sound. It was actually BT’s 2nd album to do this, the first was the soundtrack to the movie Monster, released back in 2003. The album, both released as CD and DVD contains a broad mixture of jazz, breakbeats and classical music and even a full 110-piece orchestra. This was a non-vocal album and didnt really contain any hits. The latest album, These Hopeful Machines, released in 2010 was the biggest success to date. 8 out of 12 tracks from the 2CD album became singles including, The Rose Of Jericho, The Emergency, Every Other Way, Forget Me and A Million Stars. The album featured vocalists Jes, Kirsty Hawkshaw, Christian Burns, BT and Rob Dickinson. Even his daughter, Kaia Transeau sung the lullaby-part on the track Forget Me. The album also came out as These Humble Machines with radioedits and released as 1CD and later as These Re-imagined Machines as a remix-album with remixes from Adam K & Soha, Marcus Schossow, Ferry Corsten, Tydi, Chicane and Armin Van Buuren just to name a few. While doing his own thing, BT’s songs has also been featured on loads of film scores including The Jackal, American Pie, Driven, 3000 miles to Graceland, Zoolander and The Core just to name a few. He has also had his tracks featured in videogames as Gran Turismo 3, FIFA 2002, Wipeout Fusion, Need For Speed: Underground, Tiger Woods PGA Tour 2005 and Burnout Revenge just to name a few. For me personally, These Hopeful Machines was 2010s biggest album by far and I really love the remix-album too. So many beautiful tracks, especially the Josh Gabriel remix of Every Other Way. It is one of those albums that will live on forever.